For the warship of this name, see German frigate Baden-Württemberg (F 222). (2017-12-31) "Bevölkerung nach Nationalität und Geschlecht am 31. Dezember 2017". Statistisches Landesamt Baden-Württemberg (in German). 2018. A campaign sticker, translated, "We can [do] anything. Except [speak] Standard German." This is an allusion to Baden-Württemberg being one of the principal centres for innovation in Germany and having its own distinctive dialects of Alemannic German. Baden-Württemberg (/ˌbɑːdən ˈvɜːrtəmbɜːrɡ/, German: [ˌbaːdn̩ ˈvʏɐ̯tm̩bɛɐ̯k] ( listen)) is a state in southwest Germany, east of the Rhine, which forms the border with France. It is Germany’s third-largest state, with an area of 35,751 km2 (13,804 sq mi) and 11 million inhabitants. Baden-Württemberg is a parliamentary republic and partly sovereign, federated state which was formed in 1952 by a merger of the states of Württemberg-Baden, Baden and Württemberg-Hohenzollern. The largest city in Baden-Württemberg is the state capital of Stuttgart, followed by Karlsruhe and Mannheim. 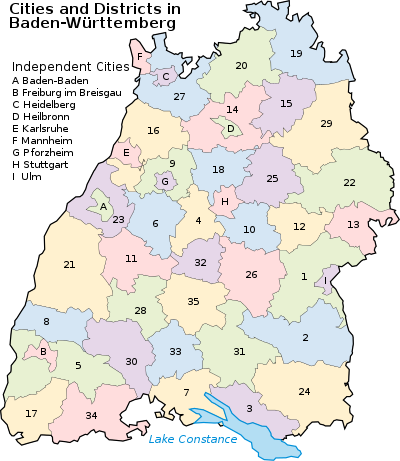 Other cities are Freiburg im Breisgau, Heidelberg, Heilbronn, Pforzheim, Reutlingen and Ulm. Baden-Württemberg is formed from the historical territories of Baden, Prussian Hohenzollern, and Württemberg, and also parts of Swabia. In 100 AD, the Roman Empire invaded and occupied Württemberg, constructing a limes (fortified boundary zone) along its northern borders. Over the course of the third century AD, the Alemanni forced the Romans to retreat west beyond the Rhine and Danube rivers. In 496 AD the Alemanni were defeated by a Frankish invasion led by Clovis I. The Holy Roman Empire was later established. The majority of people in this region continued to be Roman Catholics, even after the Protestant Reformation influenced populations in northern Germany. In the late-nineteenth and early-twentieth centuries, numerous people emigrated from this mostly rural area to the United States for economic reasons. After World War II, the Allies established three federal states in the territory of modern-day Baden-Württemberg: Württemberg-Hohenzollern, Baden, and Württemberg-Baden. Baden and Württemberg-Hohenzollern were occupied by France, while Württemberg-Baden was occupied by the United States. In 1949, each state became a founding member of the Federal Republic of Germany, with Article 118 of the German constitution providing an accession procedure. On 16 December 1951, Württemberg-Baden, Württemberg-Hohenzollern and Baden voted via referendum in favor of a joint merger. Baden-Württemberg officially became a state in West Germany on 25 April 1952. Baden-Württemberg shares borders with the German states of Rhineland Palatinate, Hessen, and Bavaria, France (region of Grand Est), and Switzerland (cantons of Basel-Landschaft, Basel-Stadt, Aargau, Zürich, Schaffhausen and Thurgau). The Rhine (German: Rhein) forms the western border as well as large portions of the southern border. 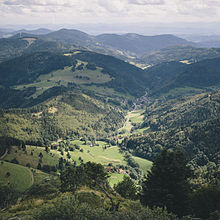 The Black Forest (Schwarzwald), the main mountain range of the state, rises east of the Upper Rhine valley. The high plateau of the Swabian Alb, between the Neckar, the Black Forest, and the Danube, is an important European watershed. Baden-Württemberg shares Lake Constance (Bodensee, also known regionally as the Swabian Sea) with Switzerland, Austria and Bavaria, the international borders within its waters not being clearly defined. It shares the foothills of the Alps (known as the Allgäu) with Bavaria and the Austrian Vorarlberg, but Baden-Württemberg does not border Austria over land. The Danube River (Donau) has its source in Baden-Württemberg near the town of Donaueschingen, in a place called Furtwangen in the Black Forest. Although Baden-Württemberg has relatively few natural resources compared to other regions of Germany, the state is among the most prosperous and wealthiest regions in Europe with a generally low unemployment rate historically. 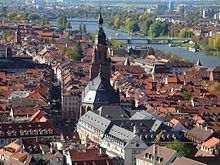 A number of well-known enterprises are headquartered in the state, for example Daimler AG, Porsche, Robert Bosch GmbH (automobile industry), Carl Zeiss AG (optics), SAP SE (largest software enterprise in Europe) and Heidelberger Druckmaschinen (precision mechanical engineering). In spite of this, Baden-Württemberg's economy is dominated by small and medium-sized enterprises. Although poor in workable natural resources (formerly lead, zinc, iron, silver, copper, and salts) and still rural in many areas, the region is heavily industrialised. In 2003, there were almost 8,800 manufacturing enterprises with more than 20 employees, but only 384 with more than 500. The latter category accounts for 43% of the 1.2 million persons employed in industry. The Mittelstand or mid-sized company is the backbone of the Baden-Württemberg economy. Medium-sized businesses and a tradition of branching out into different industrial sectors have ensured specialization over a wide range. A fifth of the "old" Federal Republic's industrial gross value added is generated by Baden-Württemberg. Turnover for manufacturing in 2003 exceeded 240,000 million, 43% of which came from exports. The region depends to some extent on global economic developments, though the great adaptability of the region's economy has generally helped it through crises. Half of the employees in the manufacturing industry are in mechanical and electrical engineering and automobile construction. This is also where the largest enterprises are to be found. The importance of the precision mechanics industry also extends beyond the region's borders, as does that of the optical, clock making, toy, metallurgy and electronics industries. The textile industry, which formerly dominated much of the region, has now all but disappeared from Baden-Württemberg. Research and development (R&D) is funded jointly by the State and industry. In 2001, more than a fifth of the 100,000 or so persons working in R&D in Germany were located in Baden-Württemberg, most of them in the Stuttgart area. Baden-Württemberg is also one of the Four Motors for Europe. The unemployment rate stood at 3% in October 2018 and was the second lowest in Germany behind only Bavaria and one of the lowest in the European Union. 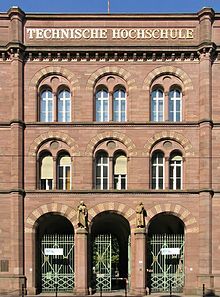 The state has the highest density of academic institutions of any territorial state (i.e., excluding the city states of Berlin and Hamburg) in Germany. ^ "The State and its people". Baden-Württemberg. Retrieved 18 December 2016. ^ Baden-Württemberg, Statistisches Landesamt. "Bruttoinlandsprodukt – in jeweiligen Preisen – in Deutschland 1991 bis 2016 nach Bundesländern (WZ 2008) – VGR dL". www.vgrdl.de. ^ a b c d e "Our State". Baden-Württemberg. Retrieved 18 December 2016. ^ "man-English Dictionary: ["little country"; local nickname for the state of Baden Wuerttemberg]". dict.cc. Retrieved 29 January 2015. ^ "Baden-Württemberg: Kein schöner Ländle". ZEIT MAGAZIN. Retrieved 21 February 2017. ^ a b c d Andrea Schulte-Peevers; Anthony Haywood; Sarah Johnstone; Jeremy Gray; Daniel Robinson (2007). Germany. Lonely Planet. ISBN 978-1-74059-988-7. Retrieved 1 February 2009. ^ The Republikaner(REP): 15 from 146 MPs in 1992 and 14 from 155 MPs in 1996. "Baden-Württemberg. Results of the election from 1964–2011". Statistisches Landesamt Baden-Württemberg. Archived from the original on 26 July 2011. ^ "Landtagswahl 2016 - Statistisches Landesamt Baden-Württemberg". statistik-bw.de. ^ "Government and organs of state". Baden-Württemberg. Retrieved 30 March 2011. ^ "BADEN – WÜRTTEMBERG – Economy". Eurostat. June 2004. Archived from the original on 23 December 2008. Retrieved 16 January 2009. ^ Haase, Nina (30 March 2011). "Business leaders wary of Greens' state election victory". Deutsche Welle. Retrieved 30 March 2011. ^ "Bevölkerung 2013 nach Migrationshintergrund und Ländern". Statistisches Bundesamt. Retrieved 29 July 2015. ^ "Government and organs of state". Statistische Ämter des Bundes und der Länder. Retrieved 14 April 2014. ^ "Gebiet und Bevölkerung". Statistik Portal. Retrieved 7 August 2018. ^ "Religionszugehörigkeit nach Bundesländern in Deutschland - Statista". Statista.